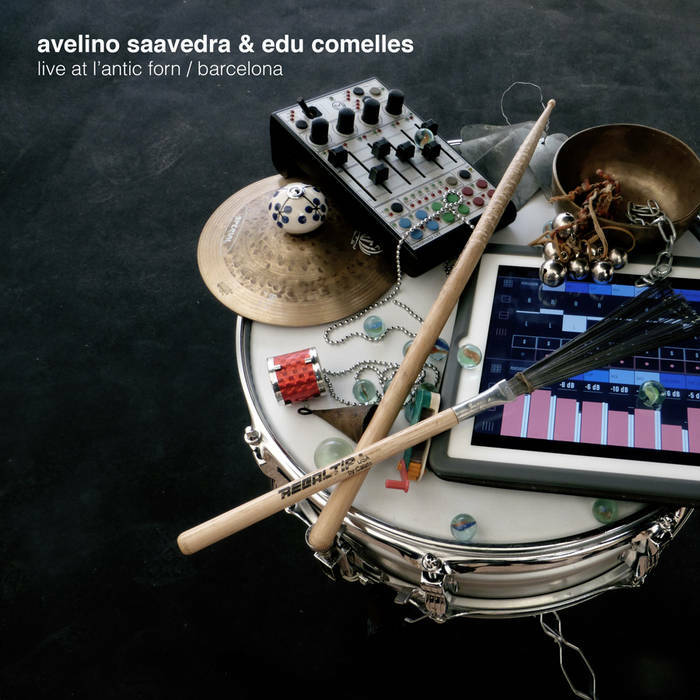 Live recording of the concert held by Avelino Saavedra & Edu Comelles at l'Antic Forn de Vallcarca (Barcelona) the 8th of November 2014. The concert was supported by Juan Manuel Castrillo and organised by l'Antic Forn de Vallcarca. Many thanks to: Juan Manuel Castrillo, L'Antic Forn de Vallcarca, La Rebelión de los Antioxidantes. Avelino Saavedra: Percussion, objects and pedals. Licencia de Creative Commons Live at l'Antic Forn (Barcelona) by Avelino Saavedra & Edu Comelles) is licensed under a Creative Commons Reconocimiento-NoComercial-CompartirIgual 4.0 Internacional License.